I couldn't quite go wordless today! 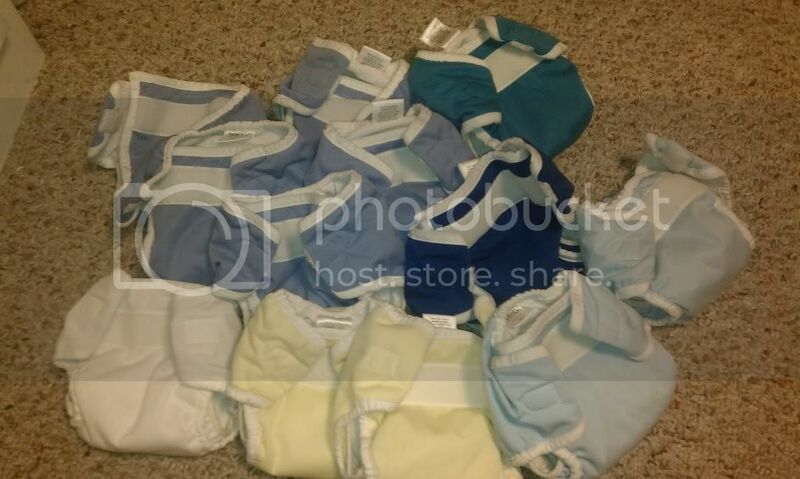 Here are some pictures from our cloth diaper stash. Here we have a bunch of small Thirsties AIOs, a Grovia OS AI2, and a OS AI2 in grass giraffes from Rikraks on Hyena Cart. 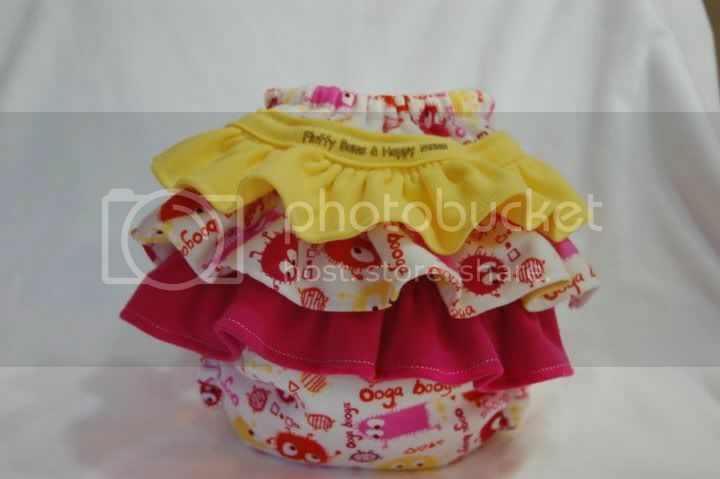 Our set of Small Thirsties AIOs with pocket. 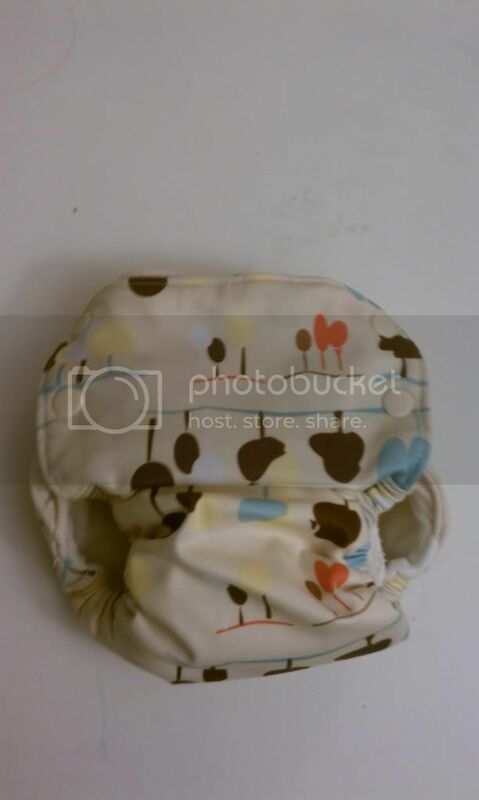 I've been dying to get some diapers in these giraffe prints for a long time, and I finally have a diaper in Grass Giraffes, a cover in Pink Giraffes, and a wetbag in Iced Giraffes. Now I'm just stalking Sorbet Giraffes! Okay, okay, just one more! I ordered my first custom diaper ever and it just arrived in the mail today! That means that I got to choose the print, style, size, etc. of the diaper and it was made just for me according to my specifications. 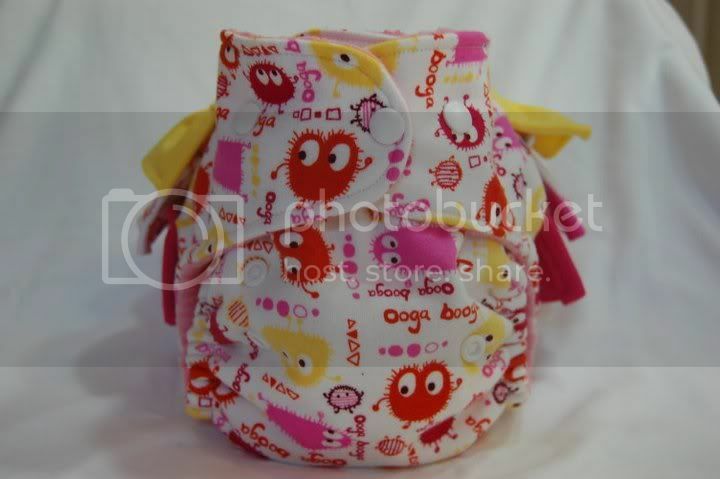 And (drumroll, please) here it is: My OS AI2 (with a hemp & minky insert) in Hot Pink Ooga Boogas with fluffles (ruffles) from "Fluffy Bums and Happy Mums". 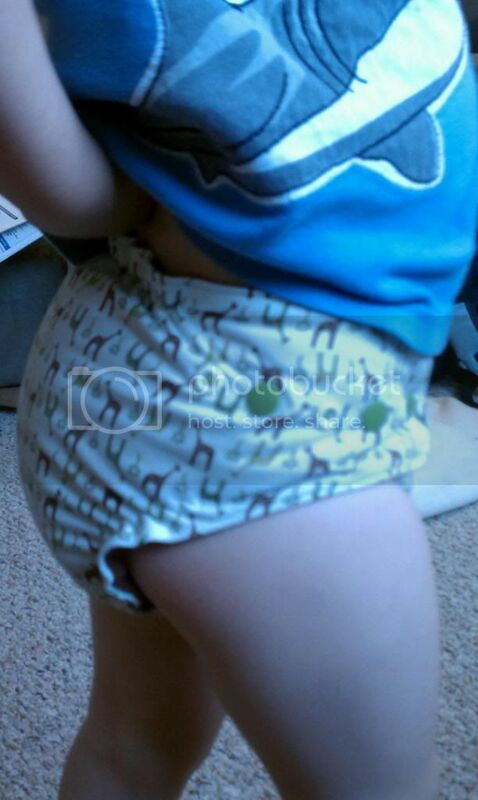 What are your coveted diaper prints or designs? Which are your favorites?